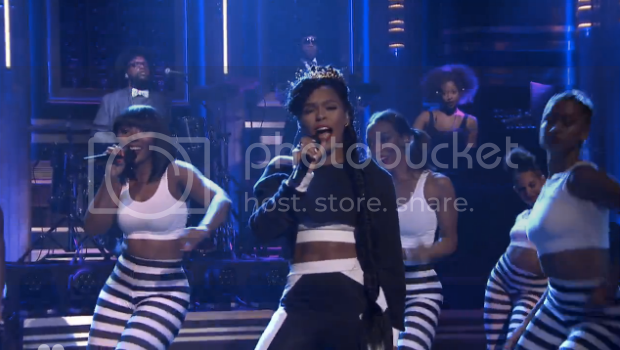 Janelle Monae hit Jimmy Fallon's Tonight Show stage to perform her latest single, "Yoga." She brought out her Wondaland Records artist Jidenna to accompany her on the dance jam that will appear on the label's upcoming compilation album called The Eephus. This song is a clear departure from what she's released in the past, and Janelle's intentions are clear. She yells out "Are you ready to hear the song of the summer?" during the song's opening notes. If there were ever a JM song that could do it, it's "Yoga." Watch Janelle whip, flex and body roll on 'em below.